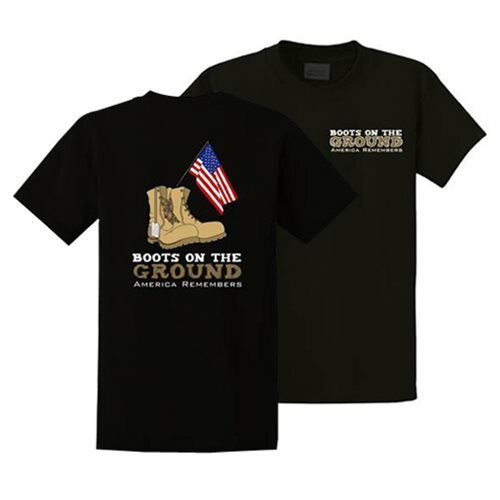 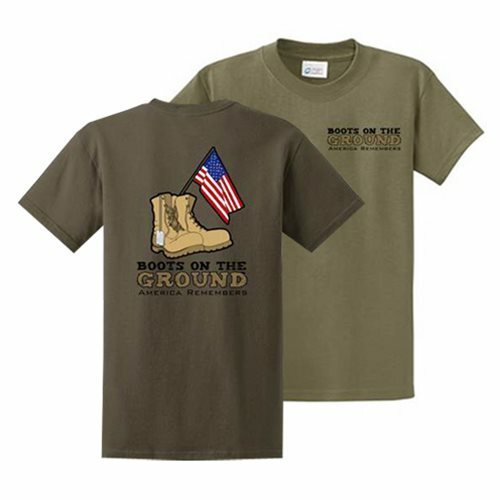 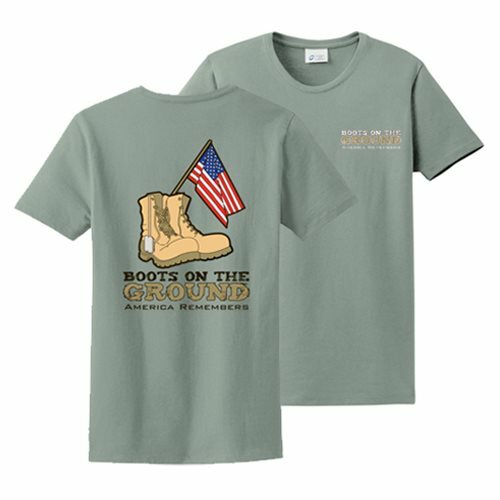 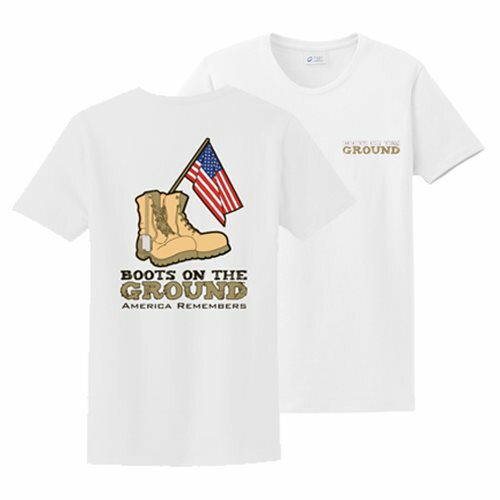 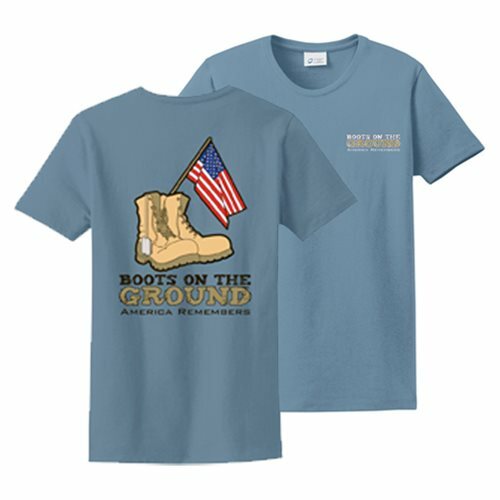 Your Boots on the Ground T-Shirt features a left front chest patch and a full back artwork design. 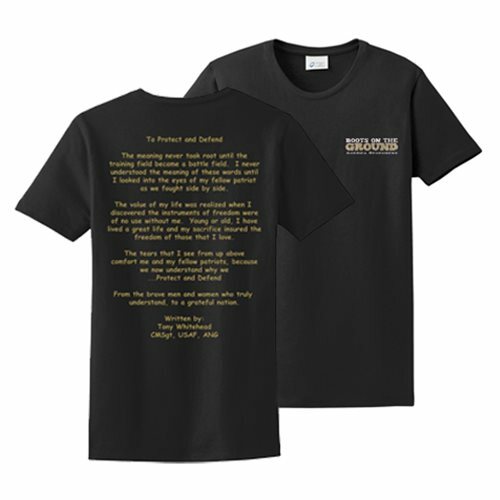 This is available in any sizes with a minimum order of 48 shirts. 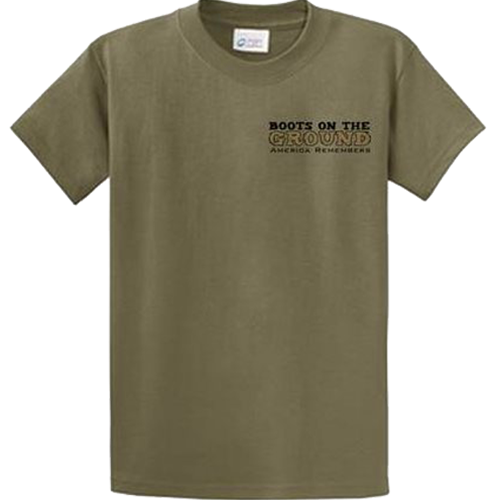 Shirt Colors: Olive Drab, Black, White, Stonewashed blue, Stonewashed green.